Preheat the oven to 400ºF. Chop the cauliflower into small florets and place them on a large baking sheet. Drizzle with olive oil and season with a pinch or two of salt and pepper. Toss the cauliflower until coated in oil, salt, and pepper. Roast the cauliflower and onions in the preheated oven for 20 minutes, then stir, return them to the oven, and roast for an additional 10-15 minutes, or until the cauliflower is tender and browned on the edges. Let the cauliflower cool slightly. 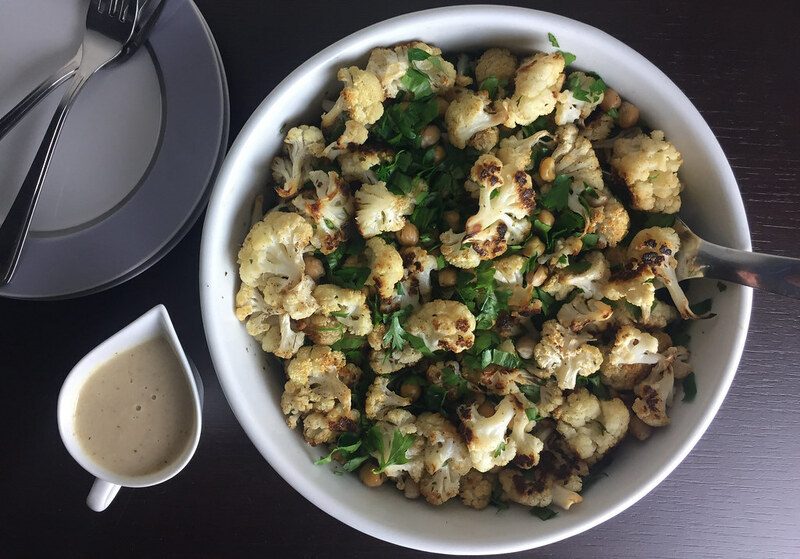 While the cauliflower and onions are roasting, make the lemon tahini dressing. Add the tahini, water, lemon juice, garlic, cumin, cayenne, and salt to a blender. Blend until smooth, then refrigerate until ready to serve. Roughly chop the parsley leaves into small pieces. 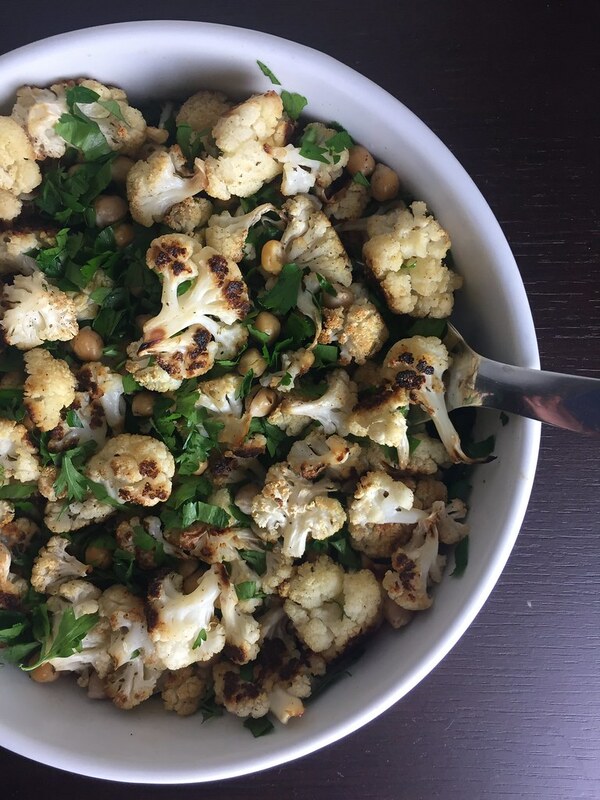 To build the salad, combine the roasted cauliflower in a bowl with the spiced chickpeas and chopped parsley. Drizzle the lemon tahini dressing over top, and toss to combine. Serve warm or cold. In your steps, you've stated "Roast the cauliflower and onions in the preheated oven...". What quantity of onions is this?